OEL (the 2000s one) are usually associated with subpar standard and work. Why? It’s probably because it’s very nature is an oxymoron. 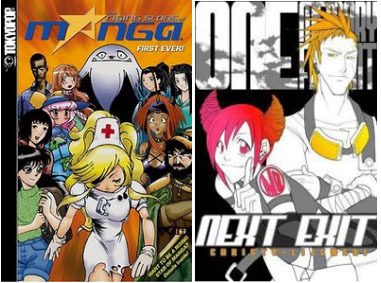 Publishers jumped into the field, advocating “manga style” as a new art style. Firstly – manga in Japanese, just means comic. That’s all it is. Unlike American “mainstream” (DC and Marvel usually) comics which have a recognizable style despite the many different artists that may work on it, the same cannot be said about manga. Manga has a variety of different artstyles, at most the similarities tend to be categorized by genre and even then the artstyles vary dramatically from time period to time period. So when you have people drawing “manga style” comics, they’re trying to emulate an art style that doesn’t actually exist. They can emulate the perceived traits of the art style but that was as far as they could go. Then we got people who were unaccustomed to the style, attempting to draw “mangaesque” which often resulted in unpolished, unprofessional looking comics. This is how we got the horror of “mangaesque” which frankly, looks nothing like any published manga out there. 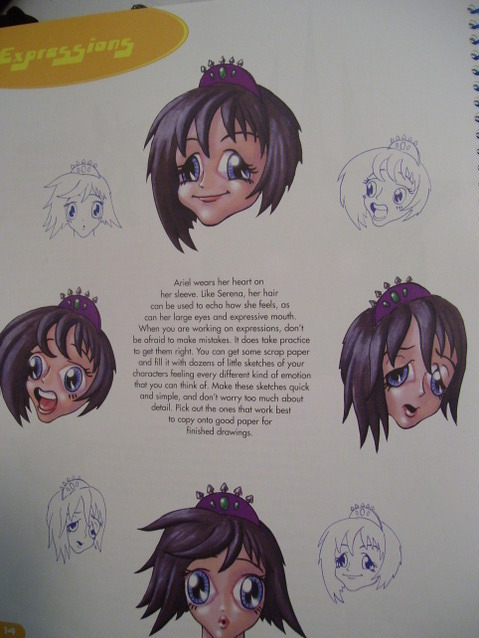 Gentlefolks, I’ve just given you the origin story of Christopher Hart who is out there publishing hundreds and hundreds of books on how to draw manga. Like that. You can probably find it in your local library. The more successful OEL tended to use manga style techniques and have art styles that were distinctly their own even if you could see the manga influences. The products were polished and looked professional. The best of these are inspired by anime and manga, the worst of these think inspiration is the use of the gimmicks of the medium and various genres. The most horrid of these just outright plagiarized. In the 2000s, the most prolific of these publishers was Tokyopop. Tokyopop had a tendency to call anything vaguely comic related “Original English Manga” which frankly tended to do everyone a disservice. The publishing market could see all the kids were going crazy over these Japanese comics so they grabbed a few artists, told them to draw in a “manga style” and slapped on “Just like real manga!” and “Manga Makeover” onto them. Am I saying that all Original English Manga were bad? No. The good ones managed to stand the test of time. We even have western artists such as Felipe Smith breaking into the manga market.We still have International Manga, webcomics and comics which have clear manga influences upon them, written today. It’s just that with the Original English Manga of 2000s, the bad ones were often held back by some perceived need to have an “animesque” art style to the point that it wildly detracted from the story. After all, people forget that the word “manga” just means comic. There’s nothing wrong with inspiration – that’s how your develop your story and your technique. It’s just that you shouldn’t limit yourself to the perceived (and inaccurate use of) the trappings of a medium.